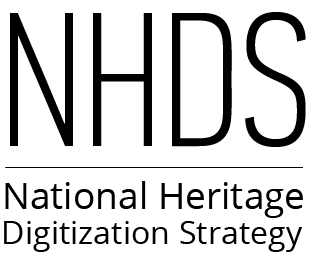 This document provides information to assist organizations in preparing an application for funding under the National Heritage Digitization Strategy (NHDS) funding call. The NHDS encourages organizations considering an application to contact the Secretariat before submitting their applications to discuss their project ideas and eligibility. Please contact the NHDS at bac.strategienumeri-digistrategy.lac@canada.ca. Library and Archives Canada (LAC) is the lead institution for administering the National Heritage Digitization Strategy (NHDS) funding call. This funding initiative aims to digitize and make accessible Canadian documentary heritage material by providing required funds. Funding is available in the form of a contribution for projects that support this objective and meet the criteria described below. Projects need to be completed by August 31, 2019. There will be no multi-year funding arrangements. Hospitality costs associated with a project such as small gifts (under $100) to elders for Indigenous projects, where appropriate. Taxes (for those organizations that are entitled to a tax credit or reimbursement). Funding decisions will be based on project assessment criteria (see section 4.2), and will be limited by the funding available, and program priorities. Requested funding may be modified following the review of projected expenses (see section 4 for more information about project assessment). Contributions will be a maximum of $100,000 per project. There will be no multi-year funding arrangements. Applicants must complete their projects by the end date. Organizations will be subject to a 15% holdback. To receive the balance of the contribution, recipients must submit an Interim report to receive the remaining funds. The deadline for submitting completed application packages is June 12, 2018, before 12:00 p.m Pacific Time. The application platform will not accept proposals after this deadline. Applications for funding are subject to the Access to Information Act, the Privacy Act and the Official Languages Act. While the Government of Canada supports the development of official language minority communities in Canada and promotes the recognition, use and advancement of English and French in Canadian society, NHDS-funded projects do not need to be presented in both English and French. This project was realized as part of the National Heritage Digitization Strategy of Canada thanks to the generous support of a private donor. / Ce projet a été réalisé dans le cadre de La Stratégie de numérisation du patrimoine documentaire du Canada grâce à un don généreux d’un donateur privé. This acknowledgement must appear in all promotional and program materials, website, social media, etc. All funding decisions of the Librarian and Archivist of Canada are final and not subject to review or appeal. Before project funding is provided, the recipient organization must sign a contribution agreement with LAC. Incomplete applications cannot be submitted. They will not be assessed and are be considered ineligible. Although the NHDS call does not reimburse in-kind contributions, the applicant organization must declare them in the total cost of the project to help determine the maximum financial contribution that NHDS may provide. Applications must include an evaluation strategy that clearly articulates qualitative and/or quantitative project outcomes and the methods to measure these. The NHDS External Advisory Committee will assess the applications and provide recommendations to the NHDS Steering Committee who will make the final decisions, subject to LAC’s legal and legislative authorities. Representative Projects that reflect Canada’s ethno-cultural, geographic and/or linguistic diversity. Collaborative Projects that use partnerships to maximize efficiency and knowledge sharing and to leverage existing infrastructure. Rigorous Projects that are practical, cost-effective, and based on standards as well as widely accepted best practices. Open Projects that commit to making content available to the public, within ethical, cultural and legal constraints. Impactful Projects that have wide appeal, are unique, and/or are particularly relevant to a specific field of study. Sustainable Projects that address the long-term digital preservation of material. An organization that submits an application for funding. An organization responsible for maintaining records of enduring value (of individuals, families, or organizations or communities) and housing archival collections. A transfer payment subject to performance conditions specified in a funding agreement. A contribution is to be accounted for and is subject to audit. The recipient will be required to report on results achieved. A legal document between a department and a contribution recipient that describes the obligations of each party. The process of converting analog records into digital format. The process broadly includes: selection, assessment, prioritization, project management and tracking, preparation of originals for digitization, metadata creation, collection and management, digitizing (the creation of digital objects from physical originals), quality management, submission of digital resources to delivery systems and into a repository environment, and assessment and evaluation of the digitization effort. Publications and records of interest to Canada. Documents related to the project and made available to the public, such as documentary heritage, catalogues, synopsis, brochures, pamphlets, etc. An association that promotes the study of ancestry. Any department, organization or agency within the federal government. An organization that seeks to preserve and promote interest in the history of a region, a period or a subject, typically focusing on a province or a community. It often has collections of artifacts, books and records. contribute to the total cost of the project but not be reimbursable, as no monies change hands. A museum with a significant archival component, or a museum and archive that are a single institution. Results of an effort to attain a goal. They are the external effects or consequences of the project that are considered significant in relation to its initial commitments. Outcomes must be measurable and may occur within organizations, communities and individuals. They may relate to behaviour, skills, knowledge, attitudes, values, conditions or other attributes. While there is less degree of control over outcomes, there should be a direct relationship between outputs and outcomes. A partner must be a documentary heritage organization that meets the Program eligibility criteria, and that agrees to pool efforts and resources with others to achieve a common objective while keeping its independence. Organizations are not recognized as partners unless they contribute directly in cash or in-kind to the accomplishment of the project. Incorporated bodies that represent the interests of archivists, librarians, historians, authors or information managers and/or that are dedicated to their professional development. An organization that receives financial assistance. A set of activities or functions that a recipient proposes to undertake with the financial assistance provided by a department. A project has a clear start and end date, occurs within a reasonable period, and demonstrates measurable outputs and outcomes. Indicators that provide qualitative and/or quantitative information needed to measure the extent to which a project is achieving its intended outcomes. Qualitative data can be expressed in terms of change or comparison between two states, while quantitative indicators can be in the form of a ratio, percentage, comparison or figure. Most immediate results of a project. Outputs are the direct products or services produced and delivered to a target group or population, such as an exhibition, the preservation, digitization/conversion and access to a collection, a workshop or seminar, etc. A group of people with an arrangement of responsibilities, authorities and relationships (corporation, association, institution, etc.). An organized collection of published materials, including books, serials, sound and video recordings, and other formats.